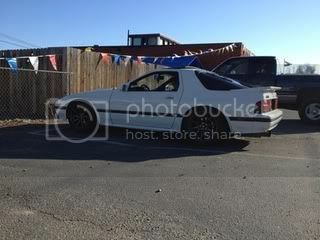 im just curious to know if when im looking for some parts for my 5 speed swap like the shift linkage if i have to look for a prelude specific or if any will do. also this goes for other parts needed to do the swap also. Some of the accord stuff will work, but depends on the part. 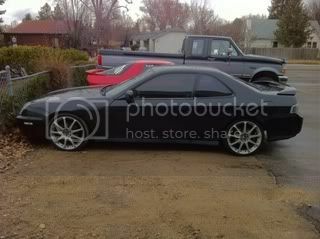 Would be best to get prelude parts. You probably don't have that much stuff more to get bro. You need the shift box/cables and a set of pedals. I always see the shift box/cables on eBay for reasonable prices. I'd try to get the pedal assemblies from a junkyard, it'd be a lot cheaper and you wouldn't have to pay shipping. yea thats kinda what i ment, if i went off and bought the pedal assembly if any pedal assembly would do or if i should find them off a prelude. I would get the pedal assembly off a prelude. The pedals on other vehicles might not fit in the footwell, and the holes might not be in the right spot for the master cylinder. Should be the basics. Shift linkage & cables, pedal assembly, master cylinder & all lines, check parts store & see if axles are different between at and mt. Ive always learned to do stuff myself. Most of the time you get faster results.